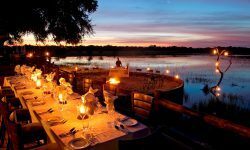 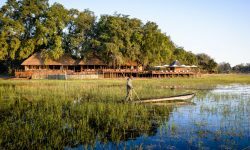 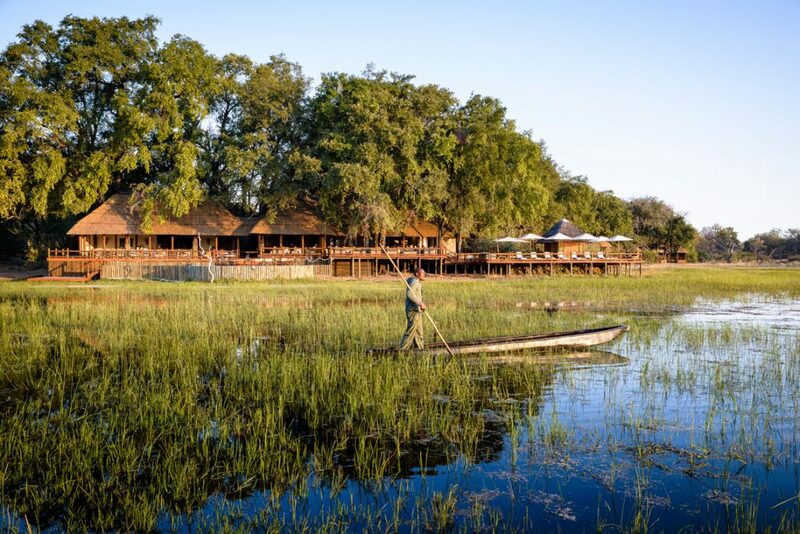 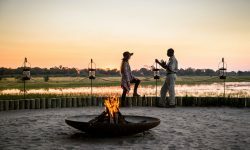 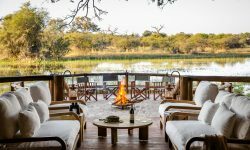 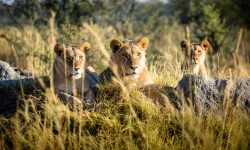 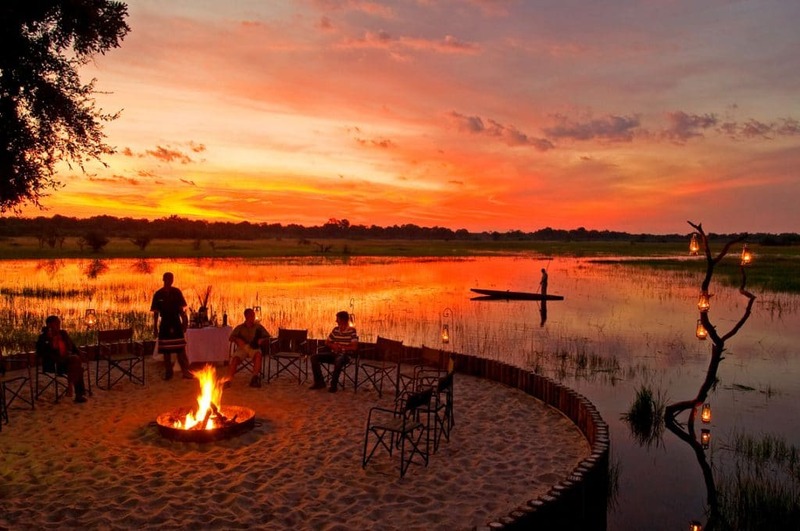 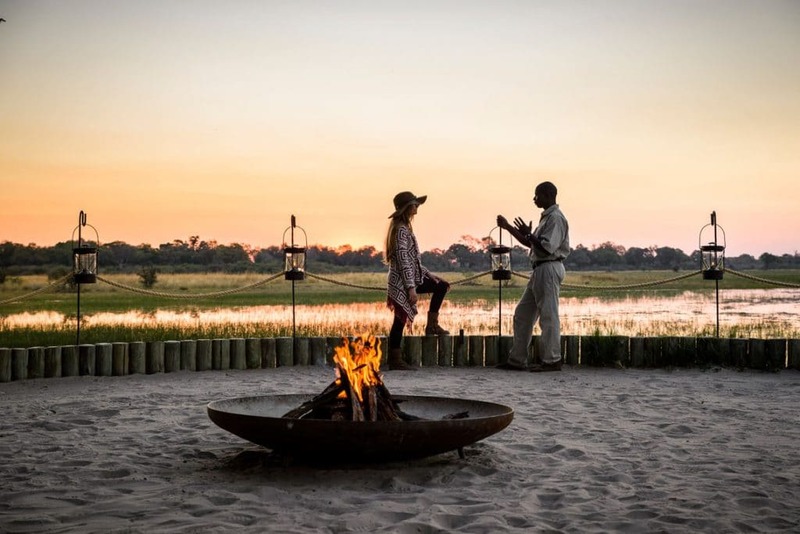 Award Winning Sanctuary Chiefs Camp was the former royal hunting reserve of Chief Moremi in the heart of the Okavango Delta. 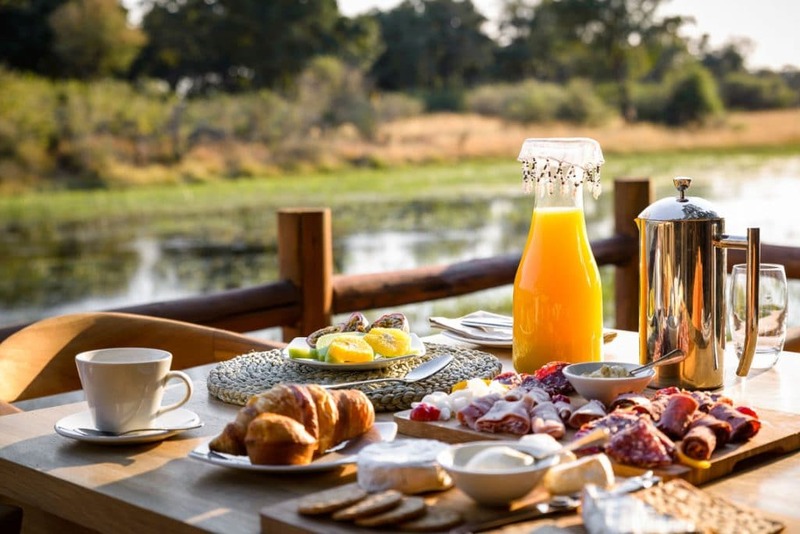 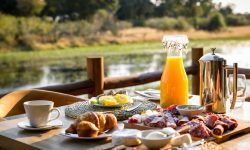 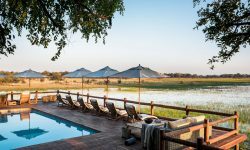 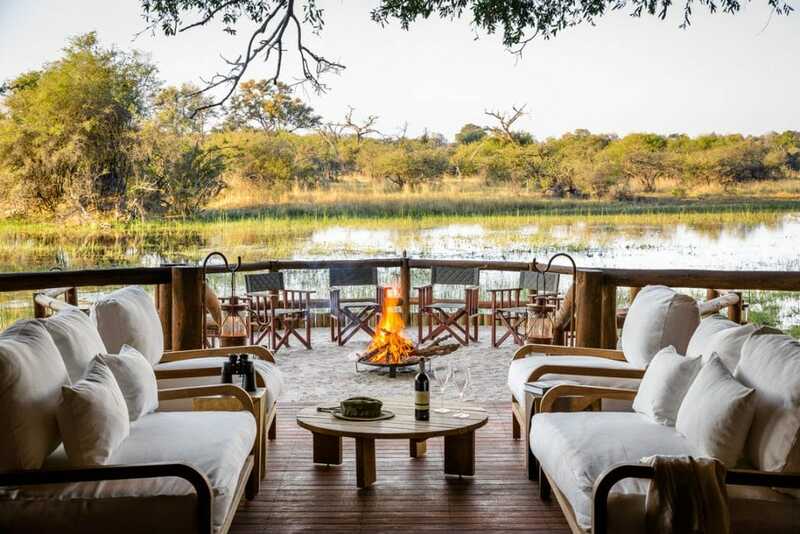 Recently refurbished and redesigned the Camp offers spacious 10 bush pavilions and a luxury suite each en- suite featuring private dining area, tranquil outside seating area and terrace swimming pool. 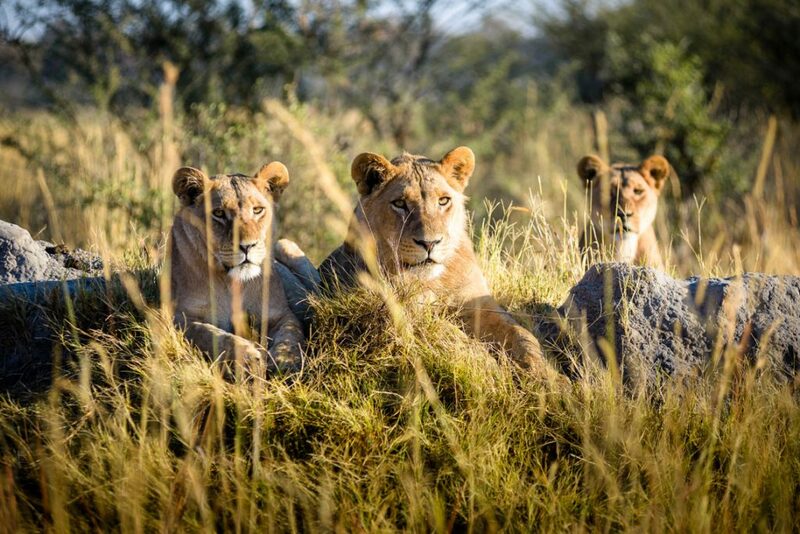 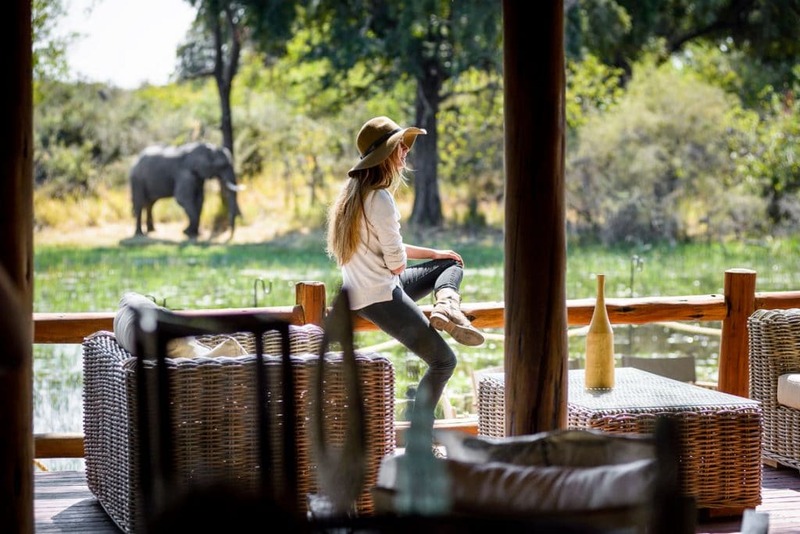 Sanctuary Chief’s Camp’s sophisticated accommodation with natural hues and materials that complement the charismatic scenery and first class dining and wines, regularly earns rankings among the world’s top safari destinations from arbiters such as Conde Nast Traveler and Travel & Leisure. 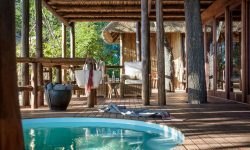 Amenities include Air Conditioning, ceiling fans. 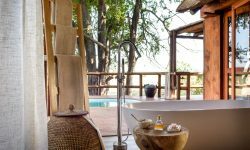 The bathrooms have floor to ceiling glass folding doors, which lead to the outdoor showers. 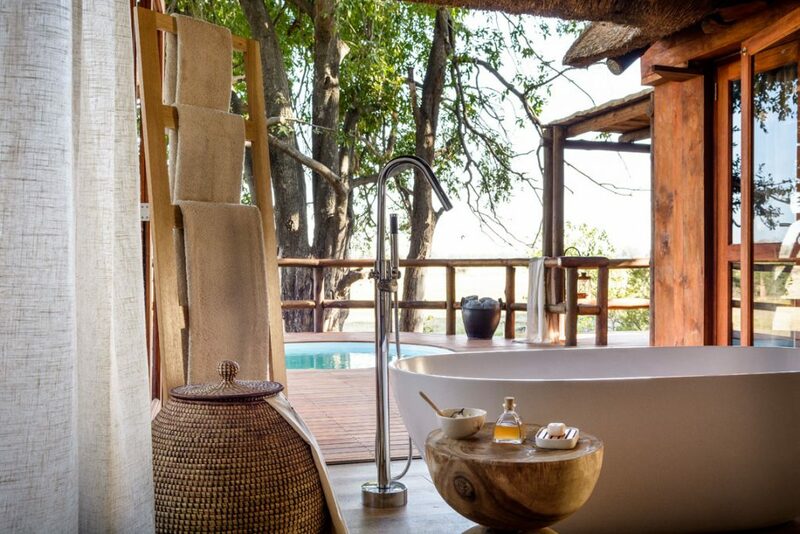 Guests can also take a soak in the bathtub. 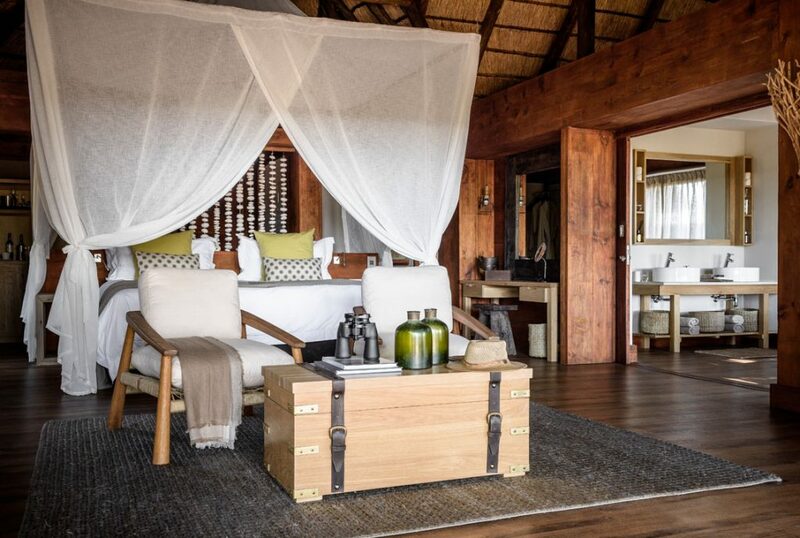 The Suite offers sheer privacy and can accommodated up to 6 guests. 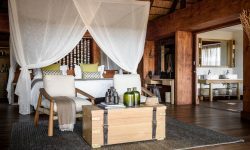 Named after the explorer Geoffrey Kent and inspired by this award winning photographer and polo-playing philanthropist’s intrepid travels, guests can expect to find characterful interiors as well as a kitchen, indoor lounge, private boma and secluded deck areas. 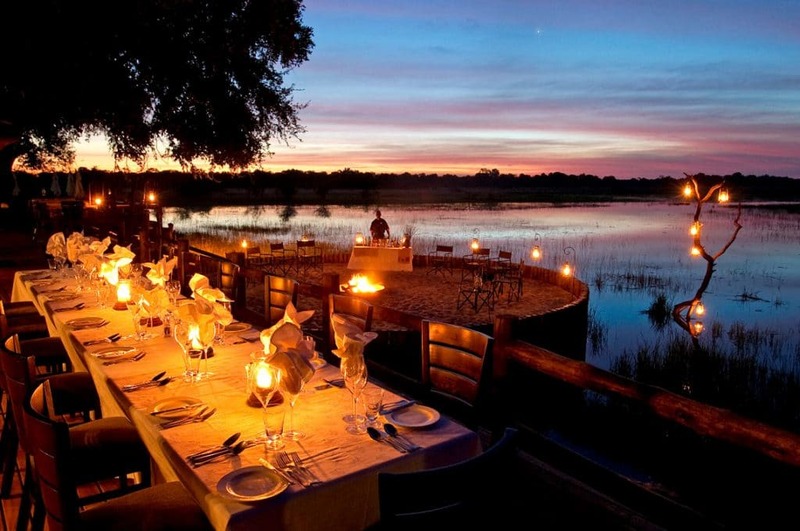 The suites also offer a private vehicle and dedicated guide as well as a personal chef, waiter and house keeper. 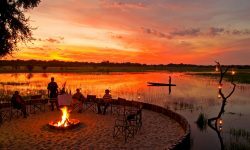 Guests can do Water and land based activities. 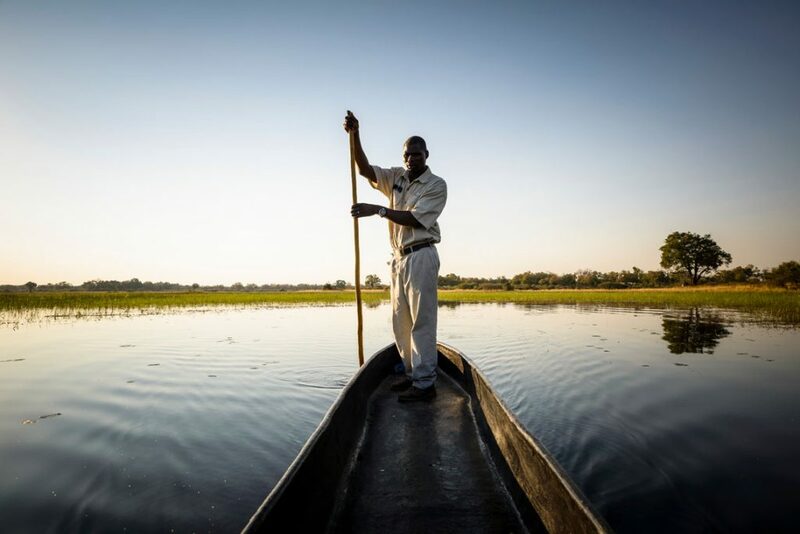 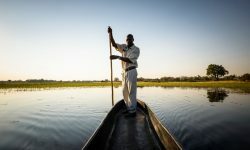 Water based is seasonal on dug out Mokoros mainly in June when the waters flood the Okavango Delta. 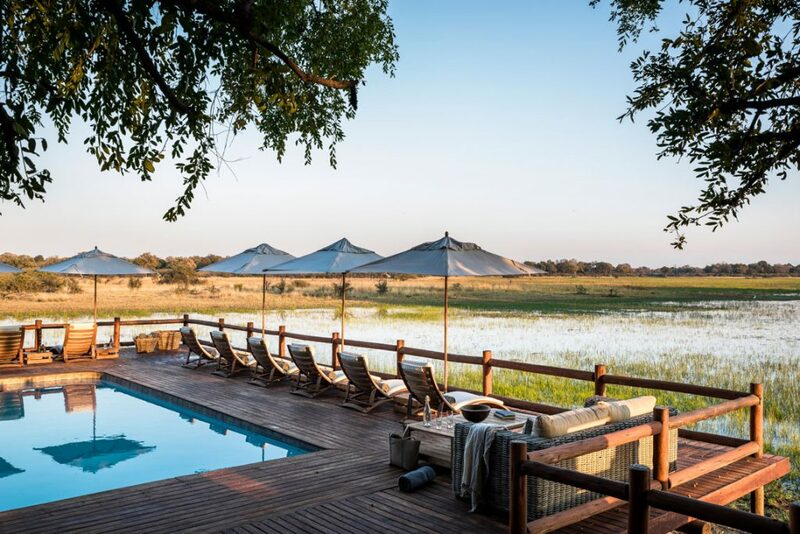 Antelopes, zebra and wild dogs. 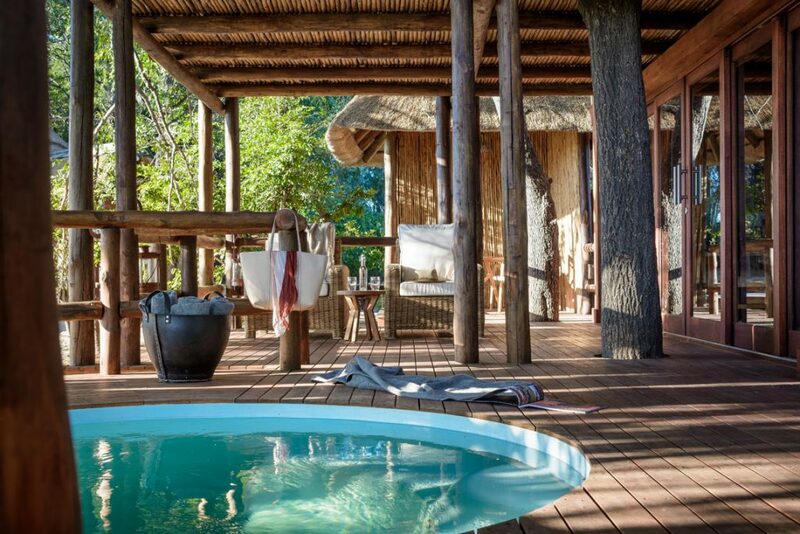 For those who wish to relax and be pampered Sanctuary Chief’s Camp offers a holistic Spa which is environmentally friendly with facials, healing stone massage and body rituals which includes a tropical immunity boosting body wrap. 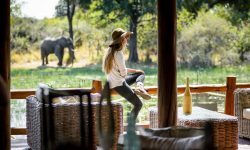 Children above 6 years are welcome with a children’s retreat from 6 to 11years old offering Young explorers to learn about African nature from experts.